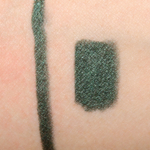 Go For a Ride is a cool dark green eyeliner, with a slight pearly finish. In a thin layer it can look like plain black. The color is quite nice and compliments specific make-up looks. The pencil is soft to apply as eyeliner, but not soft enough for a perfect application all over the lids. 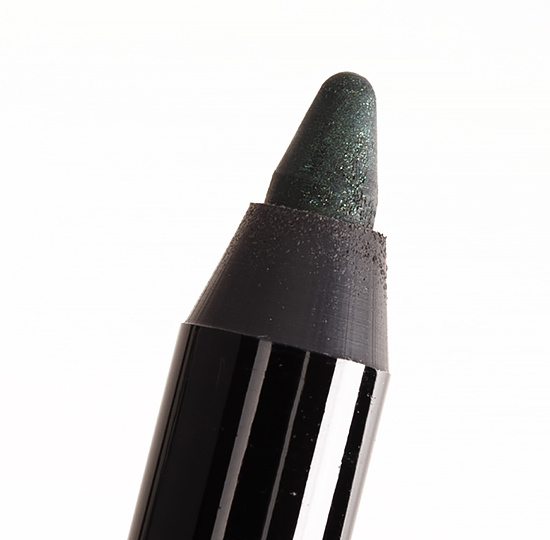 Once applied on the lids, it dries quick so it's not very smudgeable. 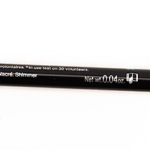 As eyeliner it stays on all day. Applied all over the lid, it smudges on my hooded lids. On the waterline it stays on 4-6 hours, than starts fading.